Here are the current pens and other writing instruments I’m offering for sale, or that have recently sold. Click on an item for more details; there’s a contact form with each item. Please drop me a note if you have general questions, or if you are looking for an item that I might be able to supply. 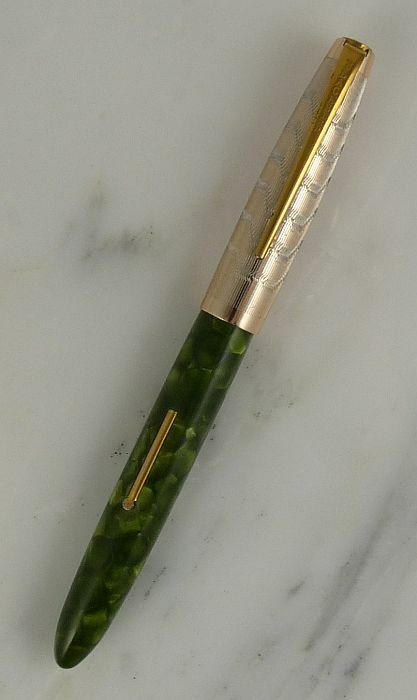 A first-year example of the iconic Parker “51”. Everyone should have one. Unless I offer another, in which case everyone should have two. 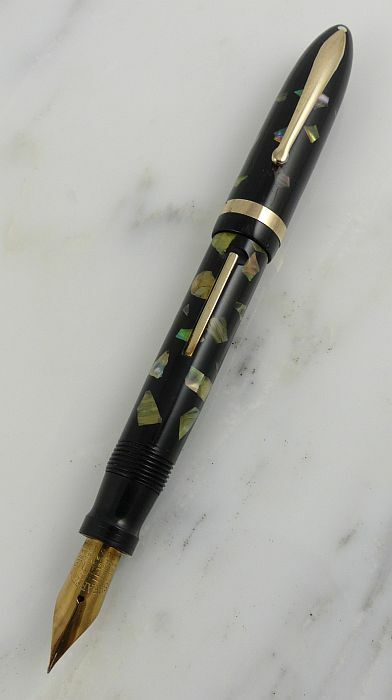 A very unusual combination of finishes and patterns makes for a distinctive writing instrument, and the flex nib adds character to the writing it produces.